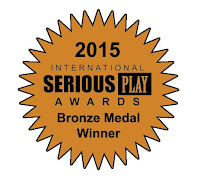 Judgment in a Crisis Simulation Earns Bronze Award! 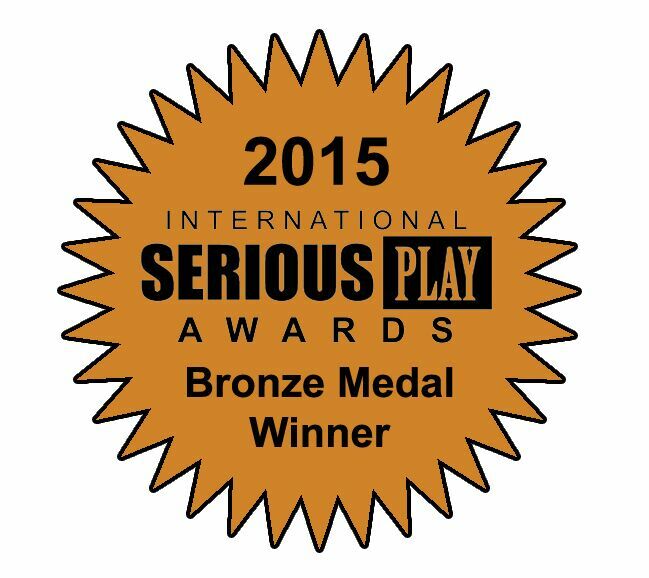 I'm thrilled to announce that my newest Harvard Business Publishing simulation (Judgment in a Crisis) will receive a Bronze Award at the Serious Play Conference to be held at Carnegie Mellon University in July. In this simulation, students play the role of a product manager at Matterhorn Health, a medical device manufacturer. The company encounters product quality problems almost immediately after the launch of its highly anticipated new blood glucose monitor. This simulation explores issues related to human judgment and decision making during a crisis. Large companies that actively promoted their chief executives in communications with journalists saw a more than threefold increase in the media coverage of their CEOs, the authors found. However, companies that went overboard in publicizing their chief executives eventually experienced a sharp decline in long-term performance, largely because their CEOs appeared so comfortable and entrenched in their role that they failed to seek novel solutions or think beyond the status quo... Those who push themselves into the limelight too aggressively may create unrealistic expectations in the minds of shareholders or become burdened by their own celebrity, unwilling to make risky or unconventional moves because of how highly they value their own reputation. We all have heard the adage, "Don't believe your own press." Well, now we have a study that confirms the perils of falling in love with all those splashy headlines. Of course, the study does not provide the evidence of direct link between publicity and negative performance. It offers a few hypotheses, as does Palmquist in his article about the research. The comments above seem plausible. CEOs can become entrenched and overly comfortable, fail to see new ideas, and become burdened with unrealistic expectations. The other thing I learned as C.E.O. is that it’s very lonely. If you share all the doubts and fears with people, then people sort of freak out, whether they’re other investors or employees or executives. You have to provide a path to success. So what I found as C.E.O. is that you almost need a split personality. On the one hand, you have to appear like Moses, so that people believe that you’re going to take them to the Promised Land. And you have to present a very simple, clear path to success. On the other hand, if you just believe all of that, you can easily run the company off a cliff. Being a C.E.O. requires a lot of faith and passion, but for making decisions, sometimes truth and faith are different. So you also have to be a skeptic, almost like Galileo. You can have beliefs, but you have to really search for the truth, which is often tied to bad news. Step back and consider your leadership style for a moment. Are you terrific at the passion element described by Nahm, but perhaps blindly devoted to the path on which you have set out? Or, are you appropriately open to alternative views, but perhaps not effective enough in selling the vision to your employees? Have you struck the appropriate balance? The article highlights one additional value from making these short films. It enables Pixar to develop and evaluate its talent. Providing young directors and animators an opportunity to create a short film is a relatively inexpensive way to see who might be ready to work on a feature film. Moreover, it enables Pixar to grow and develop those high potentials. They learn by doing in an environment in which they can take some risks. Every firm should be looking for opportunities to experiment as a means of fostering innovation, but they should also be examining how these experiments can be a useful means of nurturing and testing younger talent. When Does Bragging Help... and When Does it Hurt You? Apple announced today that it would change its policy and pay performing artists for songs streamed during the trial period for its new music streaming service. Why? Taylor Swift wrote an open letter to Apple pressuring the firm to change its tune. The remarkable story has several lessons. Most say it's a story about the power of social media. I disagree. It's a story about an influential supplier using their bargaining power to extract value from another party in the supply chain. Another musician could have used social media and had a letter go viral, but they may not have had the leverage to create change. Why have others not exercised this power? Well, some artists make most of their money off of tours. They are ok with lots of their music being available for free, because it has introduced them to a large potential audience for their tours. That is the Ed Sheeran story. Fans flocked to his concerts and knew all the words to his songs because they had listened to him on YouTube. Some artists sell lots of their hit singles, but few of their other songs. Few artists sell tons of albums these days. Taylor is an exception. In 2014, she is the only artist to release an album that sold more than 1 million copies. Remember that Apple still generates a lot of revenue through the sale of songs on iTunes. She had more leverage than most singers as a result. The other lesson though has to do with Apple's rapid response. They have a big challenge in taking on Spotify, a firm that has a giant head start in the streaming business. When Apple launches iTunes, it overcame the first movers because it offered high quality, safe, legal downloads. No viruses, high quality. Apple does not have those advantages over Spotify. It does have deep pockets though. It can afford to give some value to the artists in hopes of developing relationships that may be an advantage over Spotify. Finally, this story shows how the actions of one powerful player can reshape industry structure. In other words, supplier and buyer power are not simply fixed and exogenous. Key players can take actions that shift the structure in a way that lifts (or decreases profits) for all. In some ways, Taylor was so influential here because she could claim to be speaking on behalf of other less powerful players in the industry. She gained some economic benefit here, but most of the gains will go to fellow artists. We learned yesterday that CVS and Target have agreed to team up in the pharmacy/clinic business. CVS will pay $1.9 billion to Target for the Minneapolis-based retailer's pharmacy business. As a result, CVS will now operate the pharmacies and clinics in 1,600 Target stores across the United States. This development has important lessons and implications for other companies, particularly in the retail sector. First, it shows how a firm should examine its various lines of business and determine where to focus its efforts. Target came to the conclusion that it simply could not compete effectively in the pharmacy/clinic business as an independent player. It did not have the scale and expertise to be successful. Second, the deal shows that companies can work together and achieve synergies without having to merge with one another. Alternative forms of cooperation can lead to economic benefits for both parties. CVS gets access to new markets and new customers. Target gains foot traffic in its stores, and it collects lease payments for the pharmacy/clinic locations. Third, the store-within-a-store concept may provide a blueprint for other brick-and-mortar retailers as they continue to try to compete with online rivals such as Amazon. By partnering with specialists, the mass merchandisers and department stores may be able to offer an enhanced in-store experience and increase foot traffic. Finally, the deal shows that maximizing revenue is not a strategy. Target has now made several moves that have trimmed revenue, but in all likelihood, have positioned it more effectively in the marketplace and improved profitability. The Canadian exit and the CVS partnership were both such bold moves, and perhaps there may be more to come. In this brief video, Stanford Professor Jesper Sorensen explores the advantages and disadvantages that incumbents have as they compete against startups. It's a good recap for any entrepreneur. In this video clip, Wharton Business School Professor Americus Reed describes the research that he and fellow scholars have done regarding how we can effectively persuade others to give of their time. The Wall Street Journal published a good article this week about the Disney strategy under CEO Bob Iger. Writer Ben Fritz summarizes the shift in strategy that has taken place since Iger replaced Michael Eisner as CEO. I have been teaching a corporate strategy case study about Disney for many years. I often show a series of charts that shows the Disney stock performance during three periods of time: Eisner's tenure pre-ABC acquisition (roughly his first decade as CEO), Eisner's tenure post-ABC acquisition, and Iger's tenure. What do you see when you examine these charts? Disney outperformed the S&P 500 by a wide margin during the first half of Eisner's tenure, underperformed during the latter stages of his time as CEO, and has outperformed the S&P during Iger's tenure. Several factors contribute to these performance changes, but I believe the shift in strategy over time plays a key role. During Eisner's early tenure, he focused on cultivating economies of scope among the businesses at Disney (i.e. synergies). The company leveraged characters in the Disney vault, and it created great new characters in films such as Beauty and the Beast, Aladdin, and The Lion King. In the latter stages of Eisner's tenure, they diversified much more broadly. The company begin to define itself not as a company that was simply great at creating franchises based on great characters, but instead as a leading entertainment company. They were defining their capabilities more generally.... but of course, they were also less distinctive, and less clearly superior when talking in general about entertainment. The stretched definition of who they were and what they were good at served as justification for moving well beyond the core "characters" businesses at Disney. What has Iger done? He's returned to character development and the building of franchises based on those characters as the heart of Disney's strategy. Look at the three major acquisitions of Iger's era: Pixar, Marvel, and Lucas Films. What do they all have in common? Powerful characters around which Disney can leverage economies of scope across its many businesses and platforms. Defining what Disney does best a bit more narrowly has limited the scope of the firm a bit, but it has elevated performance greatly. Why? Disney now competes in areas in which they are clearly world class and superior to the competition. They are not competing as much in areas of entertainment where they are less distinctive. 1. Your appearance matters. Yes, many professional workplaces have shifted toward business casual or casual attire. Your boss has told you that you can dress in a more relaxed fashion. Think carefully, however, before you show up as if you are about to walk into your nine o'clock class at school. If you want to be taken seriously, you need to consider your appearance carefully. 2. Showing up (on time) is half the battle. If you aren't dependable, you won't be employed for very long. Dependability is a fundamental requirement for career success. Show up every day ready to go. It doesn't matter how great you are, if you are missing in action from time to time. Be on time. In fact, be early for work, for meetings, for client appointments, etc. Traffic is not an excuse; traffic is a reality. Always build in an extra cushion for travel, parking, etc. 3. Don't wait for assignments to come to you. Good employees deliver what has been asked of them. Great employees seek out interesting and challenging opportunities. However, they don't just argue that they deserve the chance. They do their homework, and they show quite specifically how they might be able to contribute. 4. Respond to messages promptly. Email may not be the way that you communicate with your friends, but it is still a principal form of communication at work. Check it regularly. If you don't have time to respond in detail at the moment, then send a quick note indicating when you will have time to offer a more comprehensive answer. 5. Don't keep people in the dark. Managers hate surprises. Keep your supervisors updated on your progress on key projects. If you have fallen behind schedule, then let them know as soon as possible. Explain the reasons for the failure to meet expectations and explain your corrective action plan. The worst thing you can do is have your boss become aware of bad news that you had been unwilling to share. 6. Stop with the work-life balance talk. Keep quiet about work-life balance if you are 22 years old, single, and free of family obligations. It's insulting to the 35 year old mom or dad with three kids, an aging parent who needs care, and a volunteer commitment at their church or community organization. They are engaged in an incredible juggling act every day. Be considerate of their situation before you begin talking about how you want to lead a balanced life with time for your bike rides on weekends, community service projects, or yoga classes in the evening. Salvatore Parise, Eoin Whelan and Steve Todd have published their latest research in MIT Sloan Management Review this month. They have studied hundreds of ideas generated by employees of data storage giant EMC and correlated that data with information about the Twitter networks of those same workers. EMC has a system whereby employees can submit new ideas. The researchers gathered that information and then linked it to Twitter usage by those same employees. What did they find? The Twitter users did not generate more ideas than the non-Twitter users. However, other employees and experts judged the ideas submitted by Twitter users more positively. Most interestingly, they found that people with more diverse Twitter networks tended to generate higher quality ideas. The finding proves important because many people tend to follow others with similar beliefs when they join social networks such as Twitter. This study confirms the value of building diverse networks. We have to avoid the confirmation bias, i.e. gathering data (i.e. Twitter users) that simply confirm what we already believe. When LeBron Talks About Himself in the Third Person, Is it Narcissism or Wisdom? In a series of groundbreaking experiments, Kross has found that how people conduct their inner monologues has an enormous effect on their success in life. Talk to yourself with the pronoun I, for instance, and you’re likely to fluster and perform poorly in stressful circumstances. Address yourself by your name and your chances of acing a host of tasks, from speech making to self-advocacy, suddenly soar. Indeed, along with addressing a body of research by others, Kross is forcing a whole new take on what has long been ignored or relegated to pop psychology—the use of self-talk to boost confidence. His work elevates self-talk to something far more significant: a powerful instrument of consciousness itself. When deployed in very specific ways at specific times, it frees the brain to perform its absolute best. By toggling the way we address the self—first person or third—we flip a switch in the cerebral cortex, the center of thought, and another in the amygdala, the seat of fear, moving closer to or further from our sense of self and all its emotional intensity. Gaining psychological distance enables self-control, allowing us to think clearly, perform competently. The language switch also minimizes rumination, a handmaiden of anxiety and depression, after we complete a task. Released from negative thoughts, we gain perspective, focus deeply, plan for the future. Does using the third person actually help us? Kross argues that it enables us to achieve a very helpful psychological distance. LeBron may be narcissistic, but perhaps there is method to the madness. Kross argues, "When dealing with strong emotions, taking a step back and becoming a detached observer can help. It’s very easy for people to advise their friends, yet when it comes to themselves, they have trouble. But people engaging in this process, using their own first name, are distancing themselves from the self, right in the moment, and that helps them perform.” In other words, perhaps we don't give ourselves good advice unless we can achieve some level of detachment. Talking to ourselves in the third person may very well provide such helpful assistance. People often focus on the wrong question because they assume questions are self-evident, says Mudd. Focusing on better questions up front yields better answers later. "Good questions are hard to come up with," he says. "We typically overinvest our time in analyzing problems by jumping right to the data and the conclusions, while under-investing in thinking about exactly what it is we want to know." Start with what you’re trying to accomplish and work your way back, instead of moving forward and making conclusions. The right question provides a decision advantage to the person at the head of the table. Mudd says you can find the right question by looking backwards. Start with what you’re trying to accomplish and work your way back, instead of moving forward and making conclusions. I agree with Mudd here. I've argued in my work that leaders need to be careful about jumping into problem-solving mode. I advocate stepping back to "decide how to decide" - i.e. think carefully about how you will organize your team and the type of decision-making process that you will employ to make a tough call. If you do not decide how to decide, it's natural for many teams to encounter groupthink. Mudd makes the case that you also can end up solving the wrong problem. How you frame an issue often drives the type of alternatives that you consider. Getting the framing right is a key first step an effective decision-making process.